"Special Mom" Hawaiian Bouquet, Each arrangement is totally unique... just like Mom! 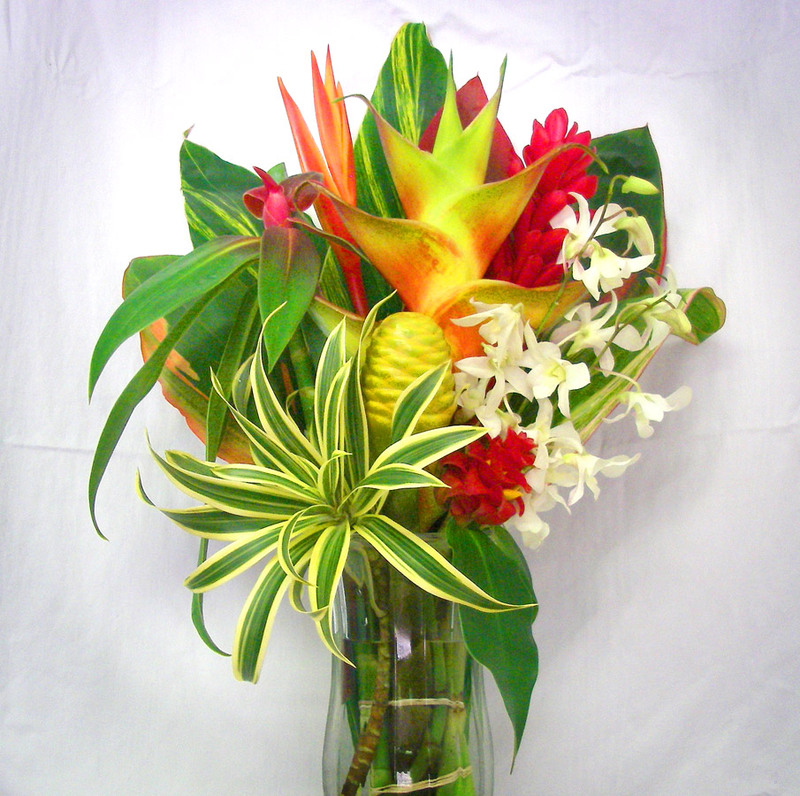 This bouquet makes a fun gift. Each arrangement is special and different... just like Mom. 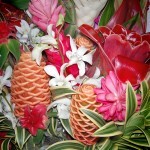 Every gift contains a hand selected mix of tropicals arranged specific for your Mom. 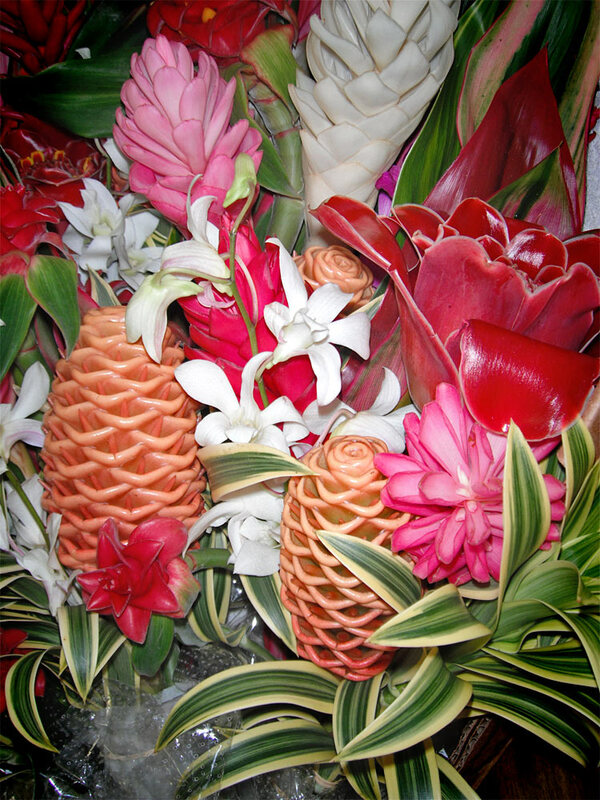 The bouquets are created around some our more unique varieties of heliconia flowers that are in season now. These are some of Kauai's best. If your Mom is no ordinary Mother, why give her ordinary flowers? Send her a stunning mix of Hawaiian Flowers: Elegant Orchids, Tropical Heliconias, Exotic Gingers, Costus, and colorful Foliage. Hau`oli Lâ Makuahine! Happy Mother’s Day! 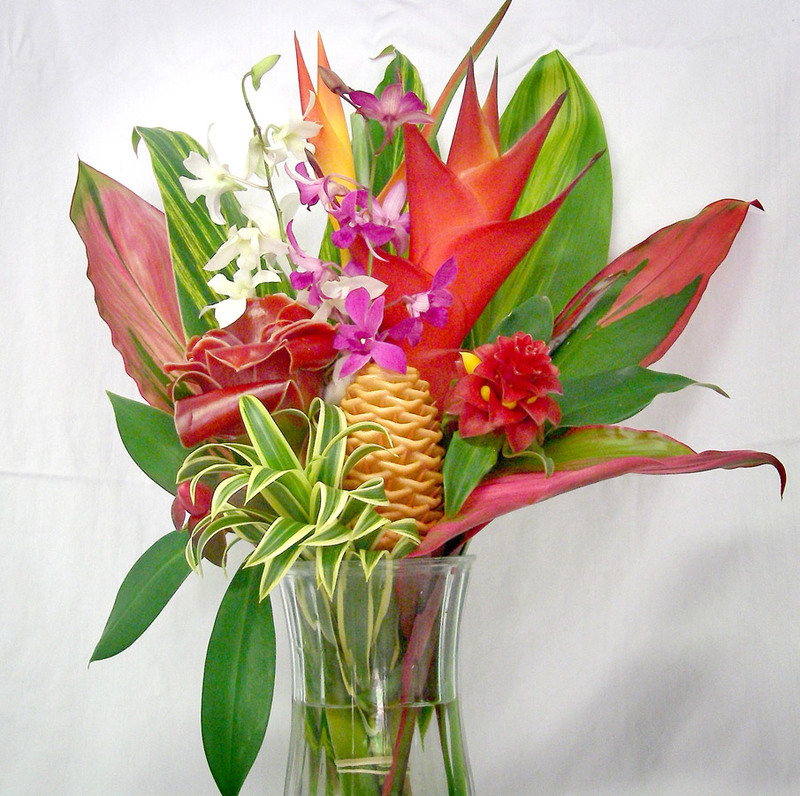 A 22 piece arrangement with Orchids, Tropical Flowers, & 10 Foliage. Approx. 25" tall. FedEx 2nd day shipping from Hawaii is included. See our checkout page for more information on shipping. *To order Macadamia Nut Chocolates, Custom Gift Card, or other Hawaiian treats, please visit our "Extras" section. Each arrangement is totally unique... just like Mom! Mother’s Day, of course, is a time to celebrate the Mothers in our family. 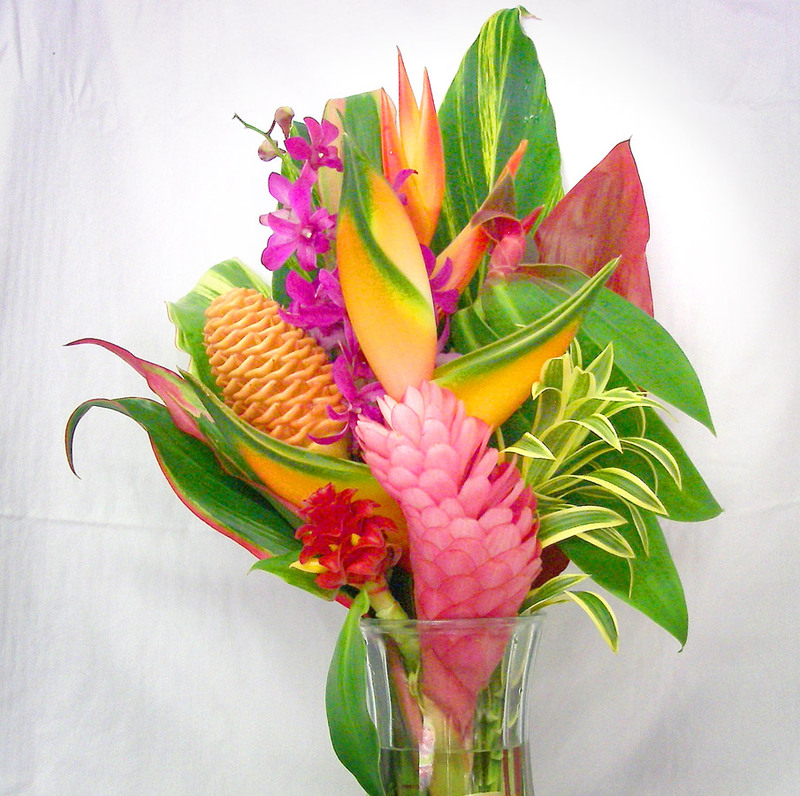 The word for family in the Hawaiian language is “Ohana” and in our ‘Ohanas there may be multiple Moms to celebrate. The Hawaiian ‘Ohana extends to cousins, aunts and uncles, friends, neighbors, and community — those who we feel connected to and responsible for. ‘Ohana means love, respect and maintaining harmony within your “family” group. Members of the ‘Ohana know that life is interconnected and that Mom is at the center. Hau`oli Lâ Makuahine! Happy Mother’s Day!